Last night I was up until 3 am cooking and baking. I wanted to take a break from the magazine for a bit and make some holiday treats. 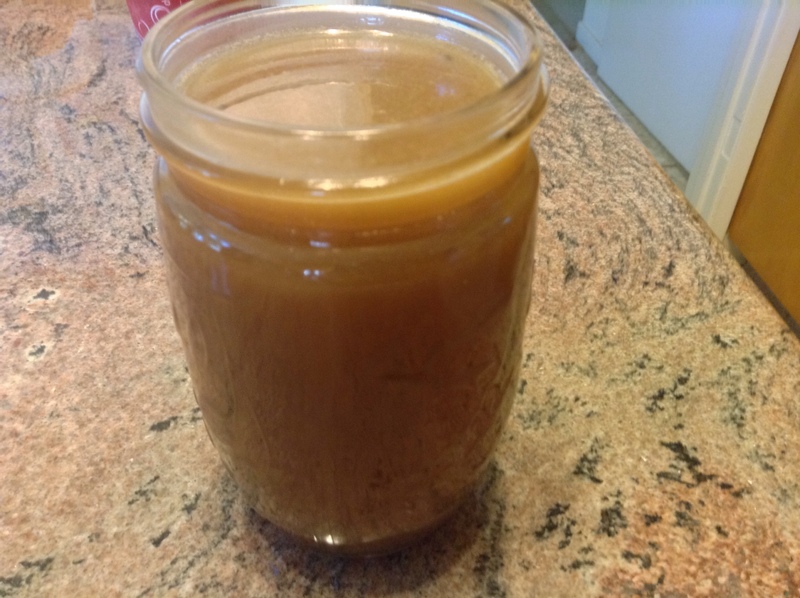 While I was baking I thought to myself why not make a salted caramel sauce?! This recipe goes with practically everything. First off what is Demerara sugar?? Demerara sugar is an unrefined, large crystal that gives this recipe an outstanding flavor. I have been using this sugar in the past month and love it! 1. Add the demerara sugar into a saucepan. Add the 1/4 cup of water to the saucepan. Stir the sugar and water together over low heat until all the sugar crystals have dissolved. This will take longer than white granulated sugar. Stir for about 10 minutes. When the sugar has dissolved turn the heat up and stir slightly, over medium heat. When the mixture begins to boil, stop stirring. Pour the heavy cream in and whisk the mixture together. Add in the butter and the sea salt and whisk together. Pour into glass jars and store covered into a refrigerator. Looks good enough to drink!! Thank you for including my recipe in your post. Looks great!